Whose work during the Roman era became the authority on anatomy? Galen (130–200), a Greek physician, anatomist, and physiologist living during the time of the Roman Empire, was one of the most influential and authoritative authors on medical subjects. His writings include On Anatomical Procedures, On the Usefulness of the Parts of the Body, On the Natural Faculties, and hundreds of other treatises. Since human dissection was forbidden, Galen made most of his observations on different animals. He correctly described bones and muscles and observed muscles working in contracting pairs. He was also able to describe heart valves and structural differences between arteries and veins. While his work contained many errors, he provided many accurate anatomical details that are still regarded as classics. Galen’s writings were the accepted standard text for anatomical studies for 1,400 years. 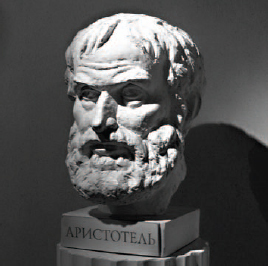 The Greek philosopher Aristotle helped lay the foundations of several scientific fields, including anatomy. © iStockphoto.com/Phil Sigin.